TOGETHER AGAIN!...in the BEST and FUNNIEST "Road" Picture Yet! 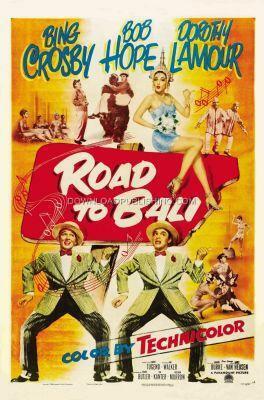 Bob Hope and Bing Crosby find themselves on the run from a women and her family who are trying to arrange a shootgun marriage. They leave Melbourne, Australia. They end up at a South Sea Island where the only work available is for Pearl Divers. They both try to get the attention of Princess Lala.